Please note: You must be a RICKA member in order to have an ad posted. If an item sells or if you change your mind about selling it, please notify the Webmaster as soon as possible. Thank you. Only the webmaster can post an ad. The Webmaster reserves the right to edit submissions for style and brevity. Contact Cheryl Thompson at stonefoxfarm@juno.com or 401-497-5887 for more info. BEWARE! RICKA CLASSIFIEDS ARE BEING MONITORED BY SCAMMERS! Read and observe Craigslist's advice on recognizing and reporting scam attempts. 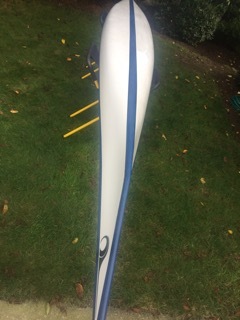 For Sale: 2011 Valley Etain Sea Kayak. It is the 17-7 model. 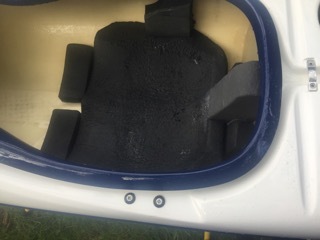 The boat is in excellent structural condition, with only a few cosmetic repairs to the gel coat on hull. $1700 OBO. Located in North Kingstown, RI. Gary at glreynolds@hotmail.com or 401-295-1449 Please see pics. Asking $600 Contact at: 401-678-6620 text only. Or at android2@earthlink.net. 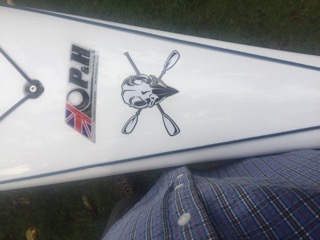 For Sale: P & H Cetus HV For Sale, 2017 boat, used approximately six times, as new, 18"3" x 22" 5", expedition lay-up, wide seams, keel strip, team graphics, compass, custom cockpit foam including sacral block and footrest, $3000.00, call Tim at 401-783-6287 before 9 p.m.
in- Condition: damaged There is a crack on the underside of the coming. 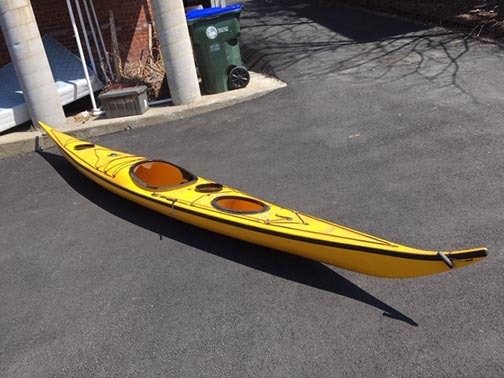 Carl Ladd of Osprey kayaks has suggested he can do a pretty stable repair Photos available.Local pick or can deliver up to anywhere on the west side of Narragansett Bay once sold. Asking $550.00. 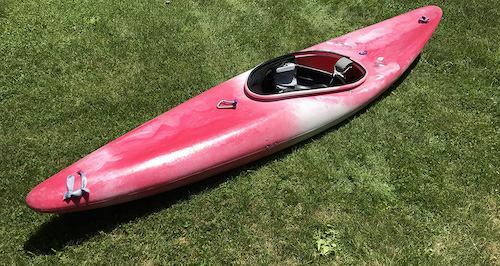 For Sale: Mad River Rampage 14' ABS whitewater canoe with both high initial and excellent secondary stability; it tracks well yet is very maneuverable. 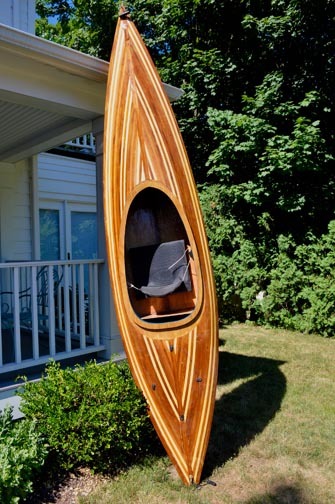 Equipped with an electric bilge pump that puts the water back in the river while you paddle. $250. Alan, alan02860@usa.com or 401-725-3344. 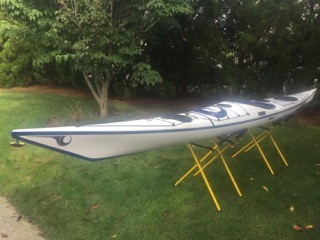 For Sale: North Shore Atlantic Fiberglass Composite LV-EXCELLENT Condition-gently used 6 times-like New. 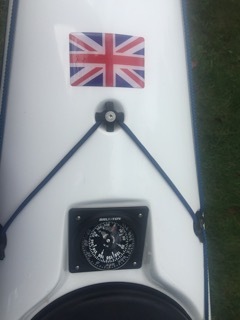 Has Skeg, Keel Strip, built in Compass and Neoprene cover. aktsuits, PFDs and Drytop for sale. See craigslist ad for details. I am in Rh Isl often as well for purchase there. For Sale: Current Designs Sirocco, White. I bought it in 2004 and it has ALWAYS been stored inside when not in use. PFD, spray skirt, paddling jackets, Two paddles Kokatat Semi Dry suit. Compass, sponge, pump, paddle float, etc. 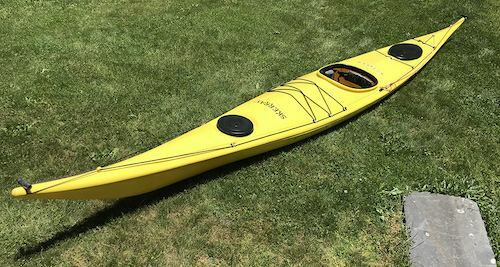 For Sale: 17' Old Town Tripper. 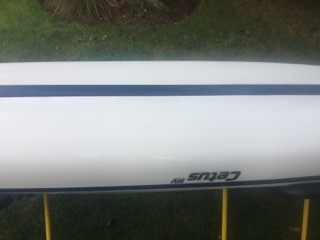 The canoe has been stored inside for over 20 years and is in very good condition. 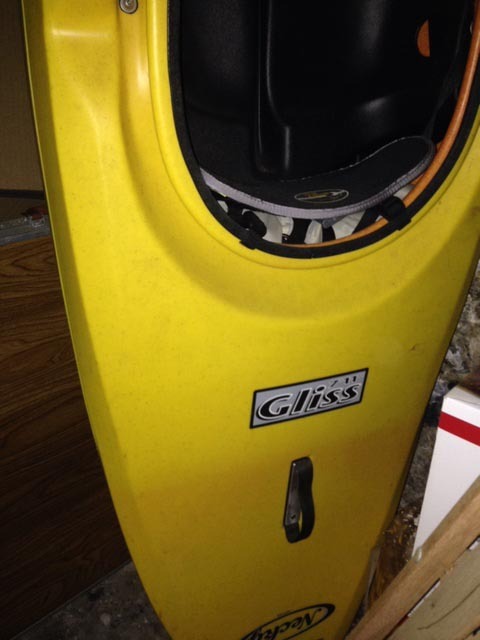 Prior to that, it was used infrequently, mostly on flatwater. It is made of the premium material Royalex, which is extremely tough and durable. 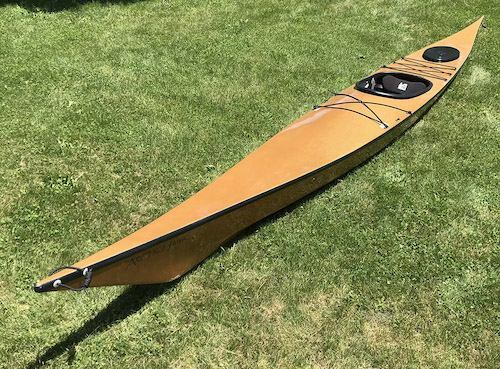 "The Old Town Tripper is the perfect all around canoe. It's built for wilderness camping and with its 1300 pound capacity it can handle all the gear you would ever dream of taking along. 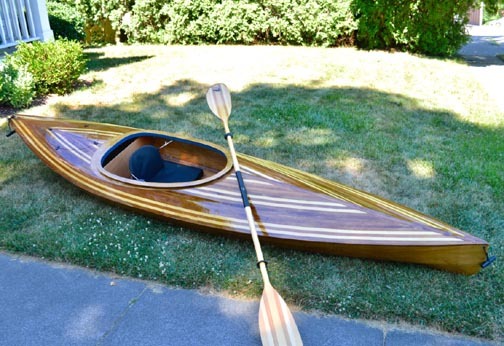 Its sharp entry line makes it reasonable fast and easy to paddle. Being a large boat it is very stable and perfect for beginners. It has moderate rocker, which together with the shallow arch design make it a surprisingly good boat for whitewater." For Sale: FOLBOT "Yukon" model, 13', excellent condition. 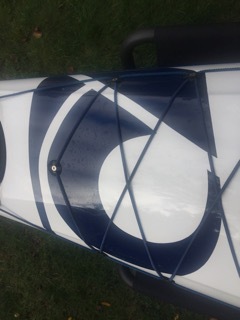 Spray cover, extra seat, paddle. $800 OBO. Wakefield area, can deliver to RI buyer. 401-783-2750. For Sale: New Bungee/ Stretch Cord for sale. Made in New England area. All sizes, colors, and styles available. Prices start at $5.00/spool. CALL Jonathan at : Marine Rope International, Located in Cranston, RI 401-447-7973 Jon@marineropeinternational.com Get the BEST for LESS. 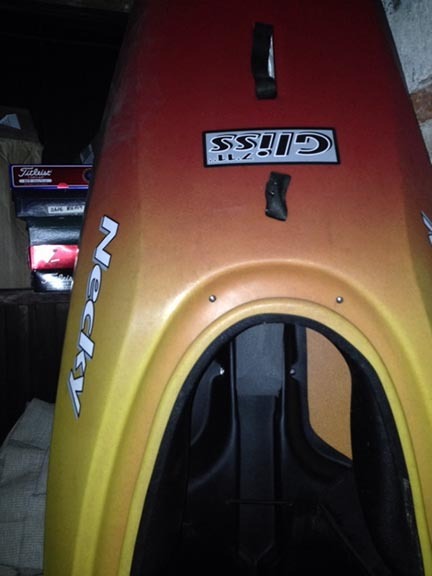 For Sale: High Quality Valley, Aquanaut Sea Kayak, plastic, in good condition with built in Skeg, $600.00. 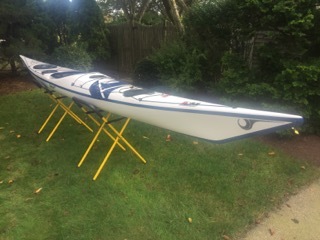 For Sale: Necky Arluck III for sale. 18', 35 lbs. kevlar with rudder. Yellow & white with blue stripe. Cuts through the wind and surf like butter. $2400 OBO. Contact Bill at 401.447.2397.